If you need baking inspiration, I’ve got you covered. 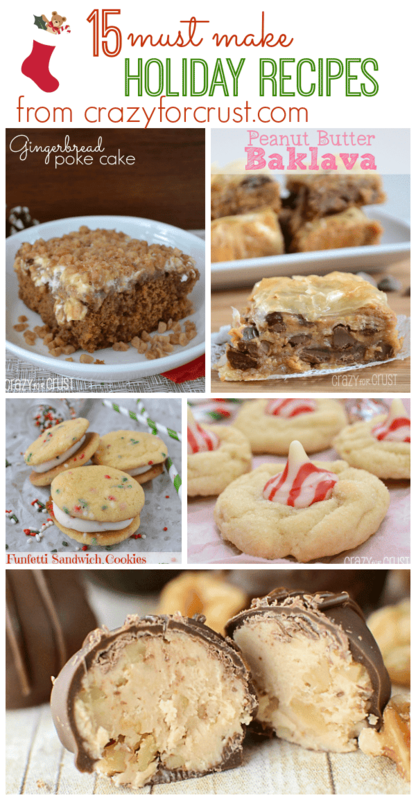 Here are 15 Holiday Recipes you MUST make! 1. 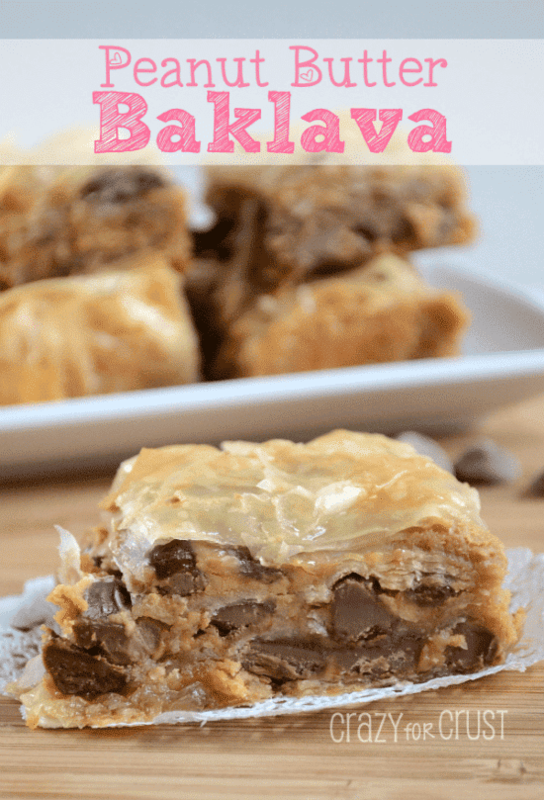 Peanut Butter Baklava – This is a show-stopper. Hands down one of my favorite desserts EVER. It takes a little work, but it’s worth it! 2. 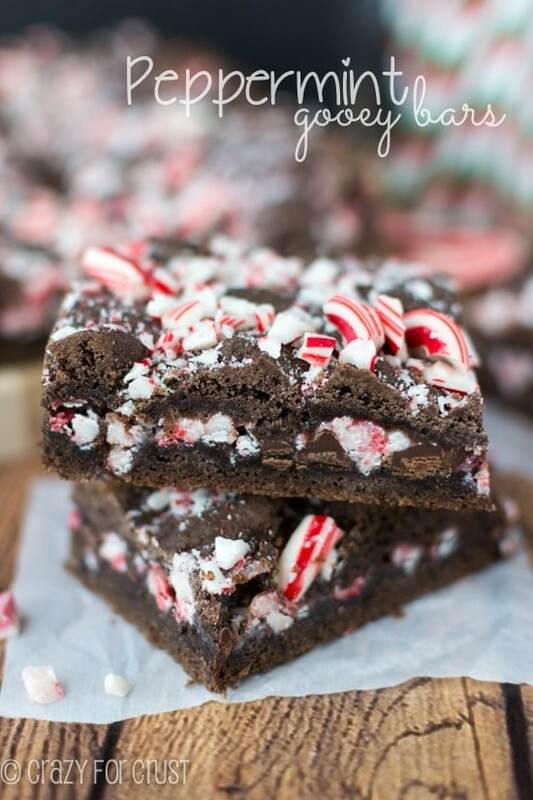 Peppermint Gooey Bars Because peppermint is goooooood. 3. 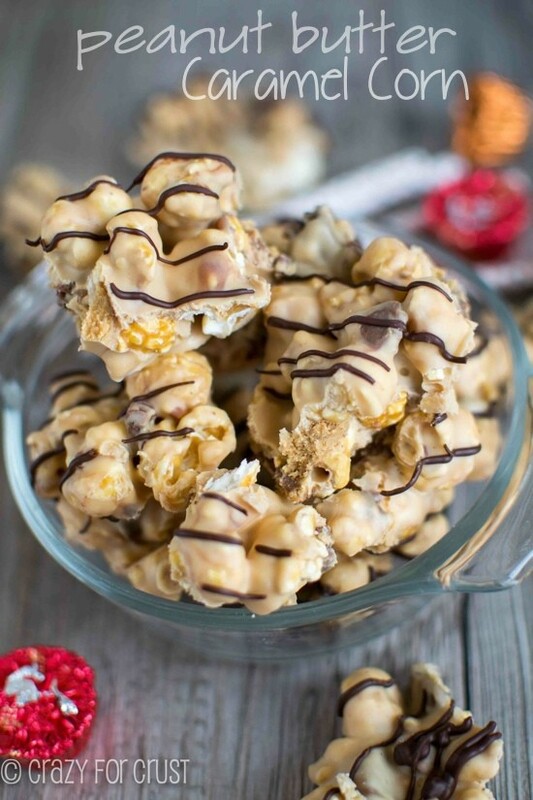 Peanut Butter Caramel Corn This is so simple to make and it makes a lot of popcorn. Great for gifts! 4. 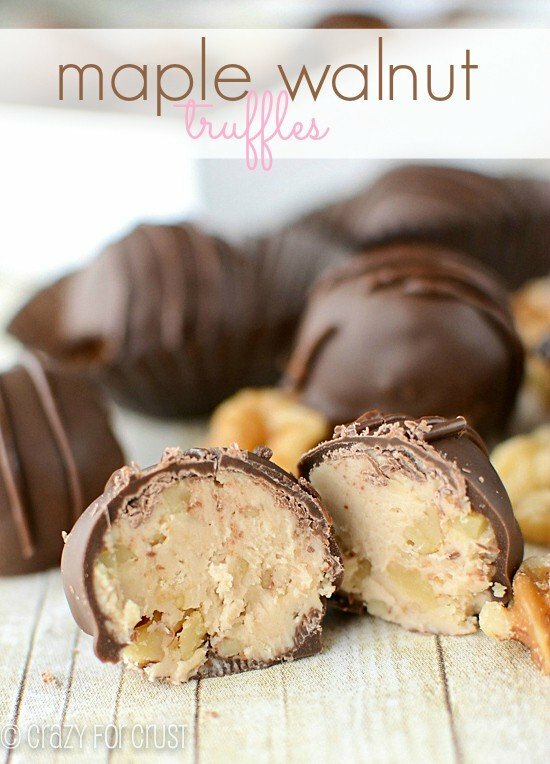 Maple Walnut Truffles A See’s candy copycat that your family and friends will swoon over! 5. 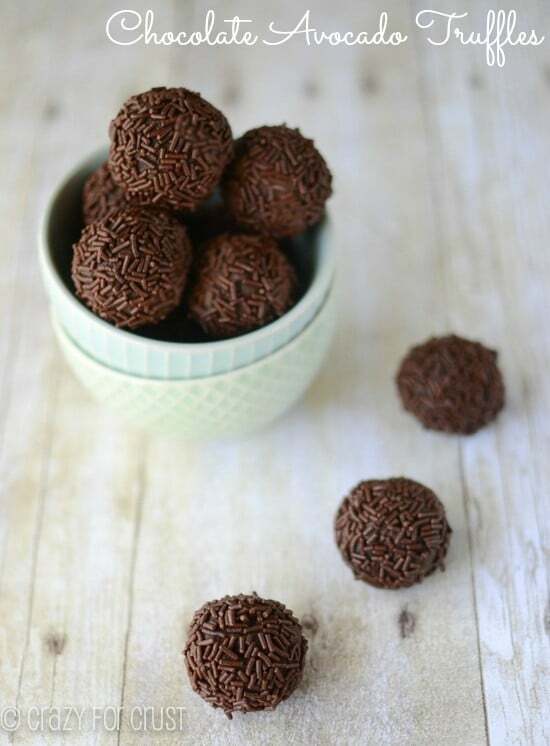 Chocolate Avocado Truffles For the healthy eater! These are super simple and use NO cream! 6. 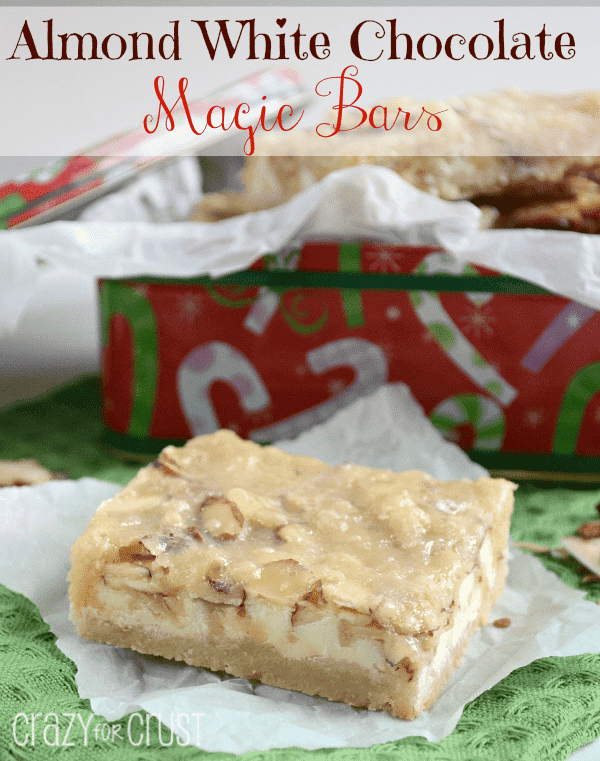 Almond White Chocolate Magic Bars If you love almond, these are for you. The almond paste gives them a huge flavor boost! 7. 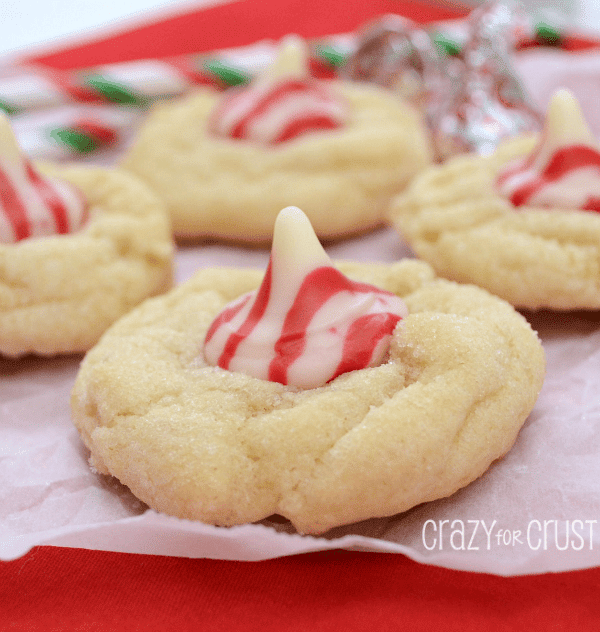 Triple White Chocolate Peppermint Blossoms Because Candy Cane Hershey’s Kisses are the best! 8. Gingerbread Butterscotch Poke Cake I love the combination of gingerbread and butterscotch…and toffee! 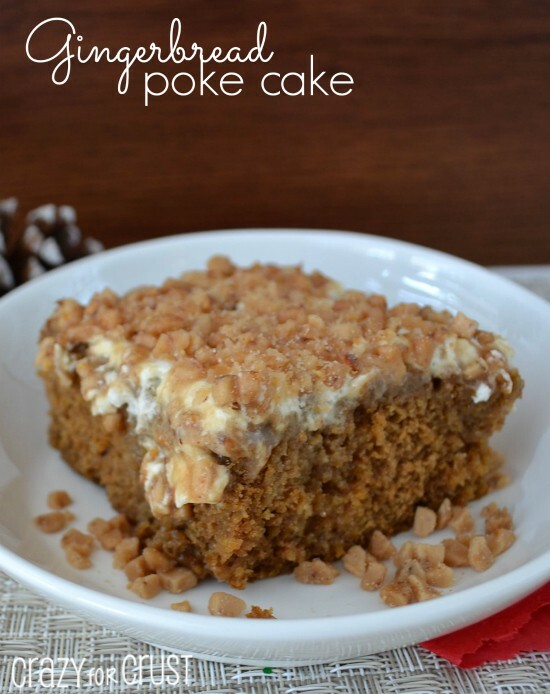 This is a great poke cake for Christmas! 9. Reese’s Fudge There’s, like, 4 ingredients. Done in a flash and it’s a Reese’s. How could it NOT be good? Great for gifts! 10. 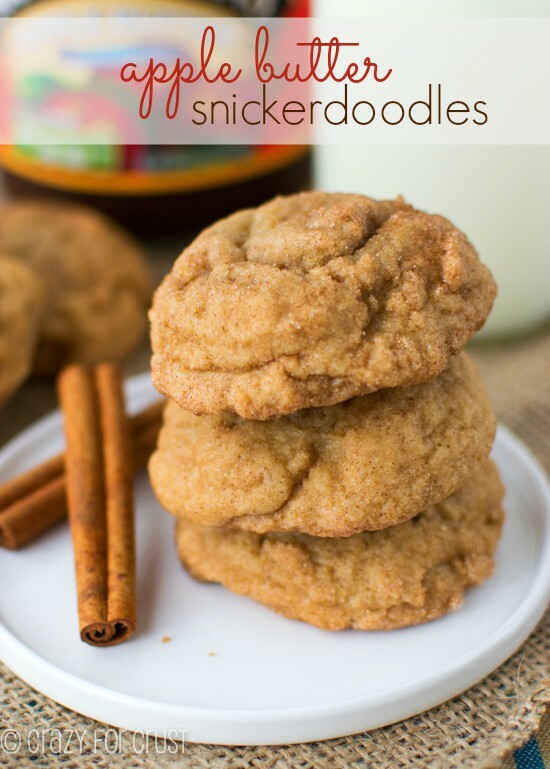 Apple Butter Snickerdoodles These have a pleasant apple spice undertone – the perfect complement to the snickerdoodle. Great for holiday platters! 11. 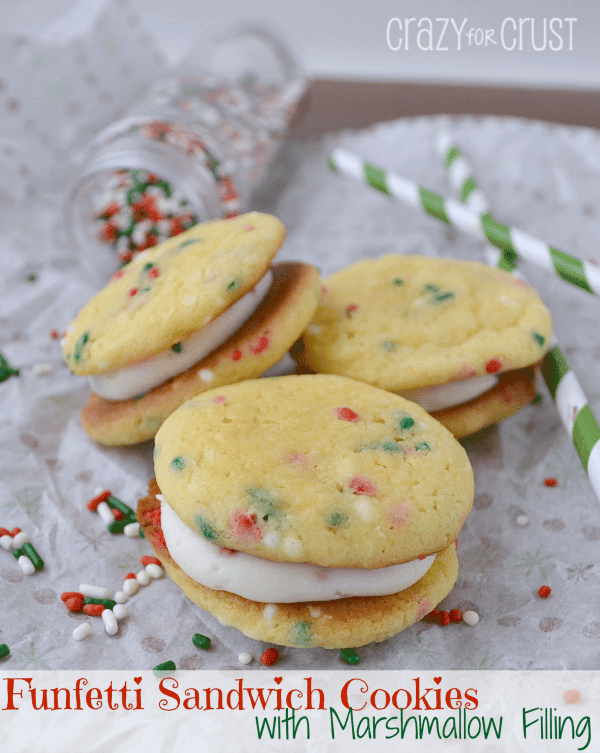 Funfetti Cookie Sandwiches with Marshmallow Filling The kids will love these. How do you not love sprinkles? And marshmallow? 12. 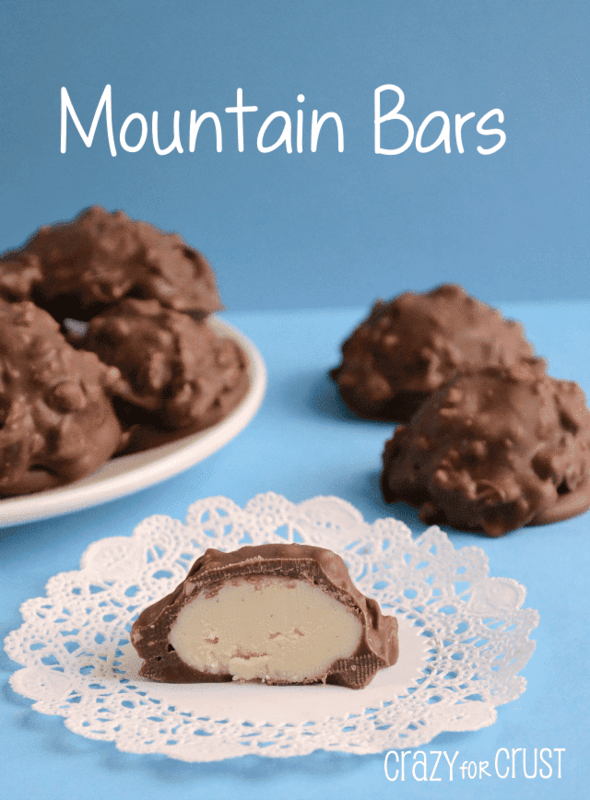 Mountain Bars Recreate an old favorite for a family member! These Mountain Bars are one of my childhood staples: a vanilla nougat candy topped with chopped peanuts in chocolate! 13. 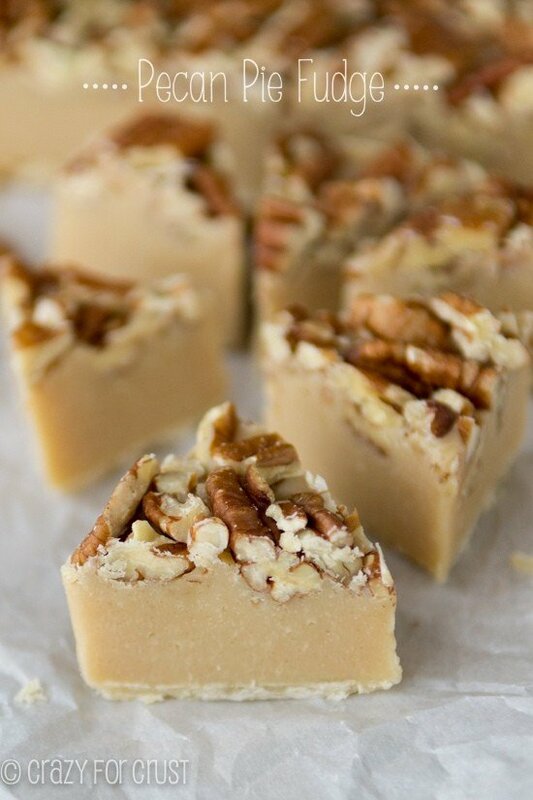 Pecan Pie Fudge – Fudge that’s pie! A showstopper for your fudge platter this year! 14. 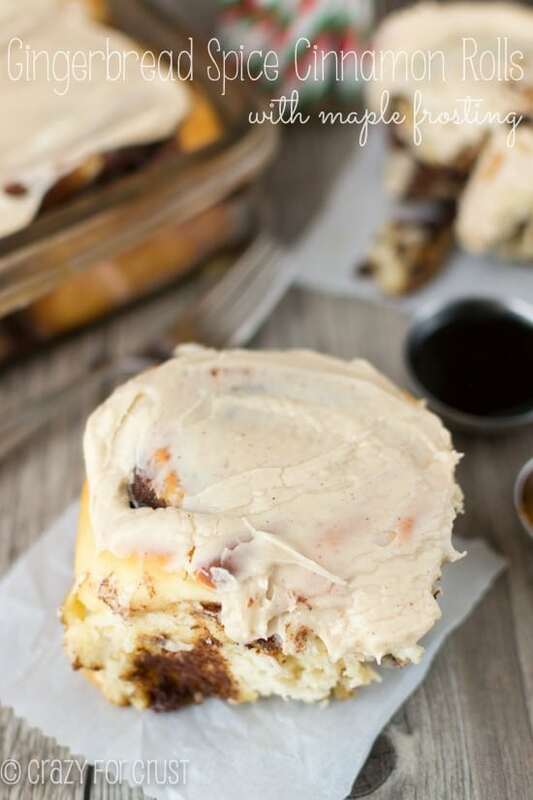 Gingerbread Spice Cinnamon Rolls – The perfect Christmas breakfast. Or great for your company pot luck! 15. 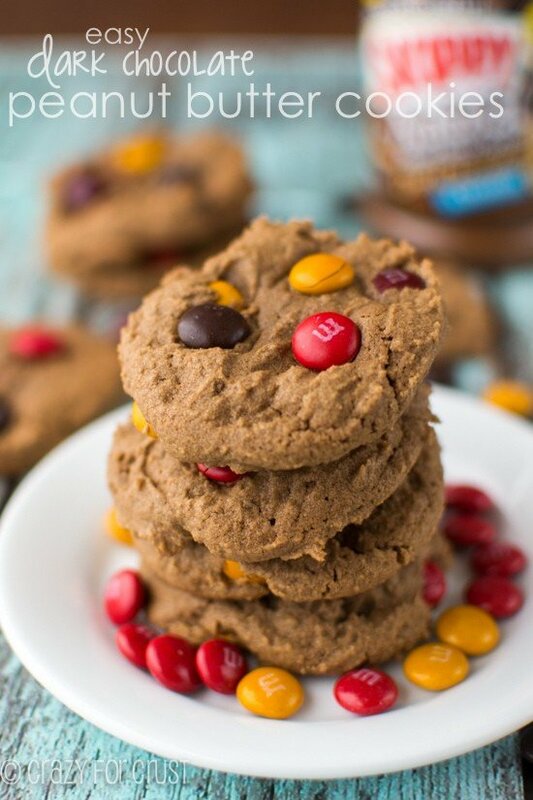 Easy Dark Chocolate Peanut Butter Cookies Only a handful of ingredients, done in minutes. 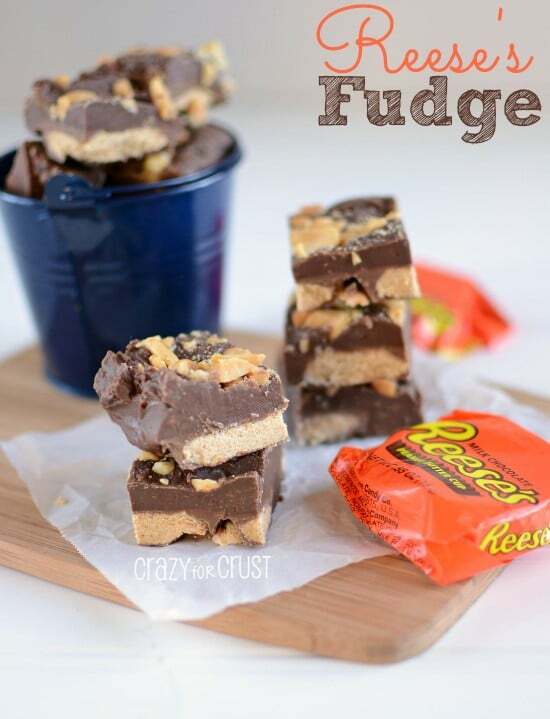 You can use regular peanut butter or the dark chocolate one. These are the BEST peanut butter cookies I’ve ever had! I hope you’ve gotten some great holiday treat ideas today! Thanks for reading! This post may be linked to all of these parties. Oh my goodness….yum-o-la Dorothy! All these recipes looks great! I got an idea from them….that I should make every.single.one! Deelish. I have a bag of those candy cane kisses in my purse right now. Yep. In my purse. Wow…I’ll take one (or six) of each!!! Some great holiday ideas? More like some this-is-so-amazing-I-don’t-know-what-to-say ideas. If I had to pick one to try, it would be the baklava or the pecan pie fudge. Those look like some serious desserts! I would say these are all definitely must make recipes! Talk about major yumminess….I have to try them all! LOL! The Funfetti sandwich cookies look like they’ll be my first pick.